One of the most dangerous, yet enchanting, route can be found in beautiful Ireland. However, you will have little time to enjoy the lovely scenery. The passes often come to the very edges of cliffs and this, combined with the Irish mists, strong winds and slippery spots, puts the fear in the bones of everyone with a bit of sanity and lust for life. The scenery is well known and appreciated all over the world, the Cliffs of Moher are some 700 ft above the Atlantic Ocean and many cyclists decide to attempt this route every year. If you’re into cycling, why not give it a go. You will not be disappointed. 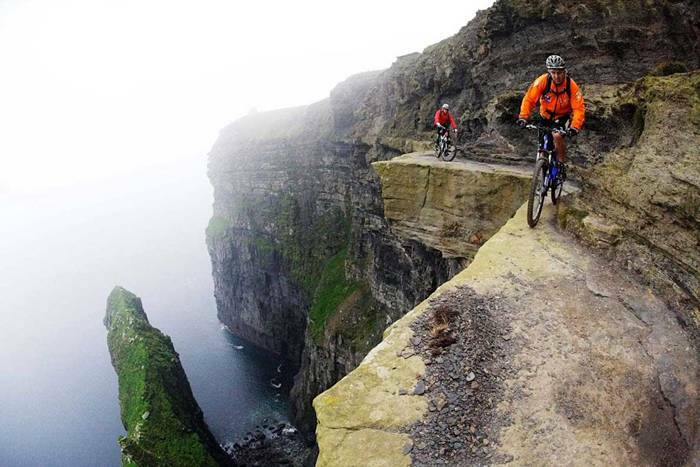 Another most extreme places for cycling in the world. First of all, it’s 800 miles long. 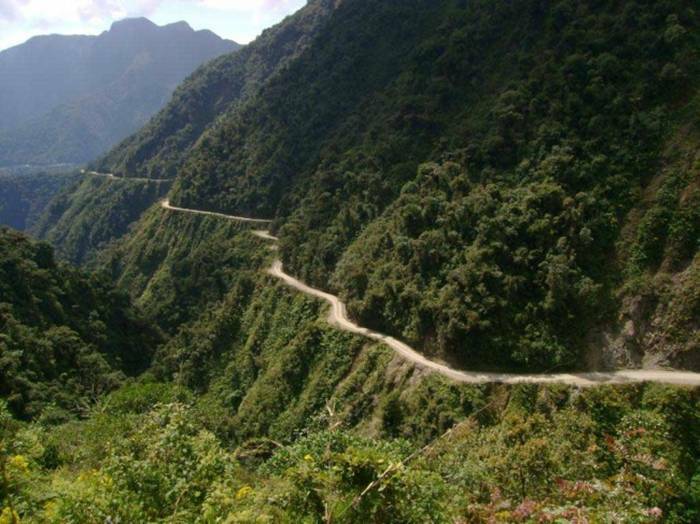 And it is the highest international road rising up to about 15,500 ft. There are many unpaved roads and parts that are difficult to pass, so this is very challenging and not for everyone to attempt. 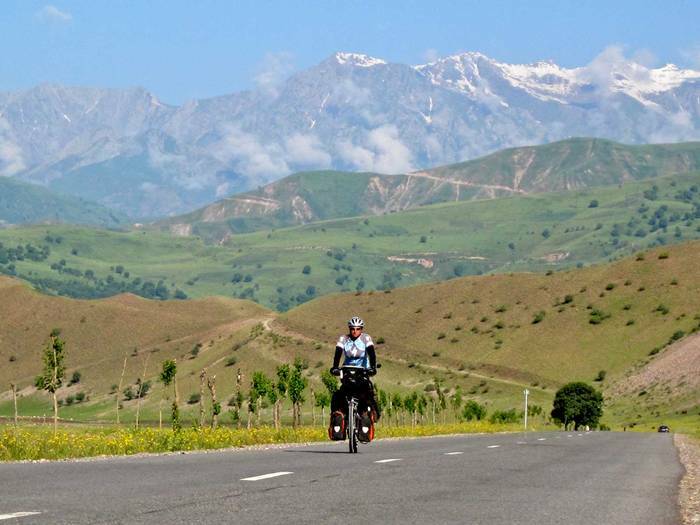 You will pass villages and icy sections, lakes and snow capped mountains as well as serpentines at the final section. In addition, you will need to bring loads of supplies, since this road has vast sections with no people around. A true adventure and only for the experienced and brave. We are not kidding. This is only for advanced cyclists. Riding the hills at your home town doesn’t prepare you for this. You will be going through the Andes, and the paths are filled with sharp turning sections, loose rocks, surprising jumps and fast downhill sections with unsafe surfaces. Even following the track is a challenge here, since there are many turn-offs, easy to miss signs and dead ends. Once again, if you do not consider yourself an advanced cyclist, you might want to skip Cancha Carrera. If you do, you are bound to have loads of fun and test your abilities to the fullest. We have already presented this extreme location to you. 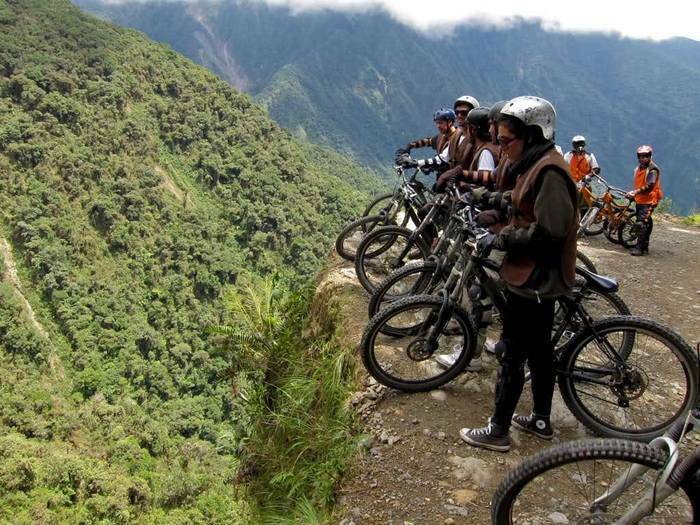 If you are into cycling, you should know about it by now, but if you have somehow managed to miss this cycling temple, you can read about the Death Road in Bolivia. 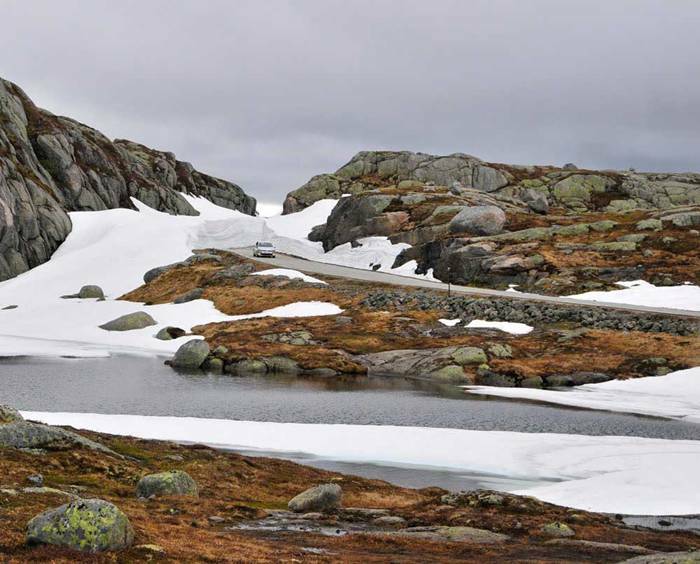 Norway is renowned for its stunning countryside. Wherever you look, you can see something that can blow your mind. Well, cycling through Norway must be rewarding, even if in this respect alone. Still, the cycling route from the title is all but a relaxed pedal. There are 27 switchbacks, a 0.7 mile tunnel, plummeting downhills and serpentines that will make your head turn. And all the time you can enjoy the lovely views of this sight-infested European country, as well as very smooth roads. It’s no wonder that Lysebotn Road is the most popular cycling track in Norway. If you can choose, be sure to visit in winter, since the snow makes this scenery look even better, while the roads are perfectly clear and safe to use. view of Lysebotn Road in Spring on a cloudy day.